880 pages | 908 Color Illus. For each disease or condition, the book includes an overview, key points, etiology/pathogenesis, clinical features, differential diagnosis, diagnosis, and management/treatment. It also provides step-by-step instructions on frequently performed procedures for the emergency/critical care patient. The text features a concise, bullet-point style to facilitate quick assimilation, along with color photos and useful charts and diagrams. 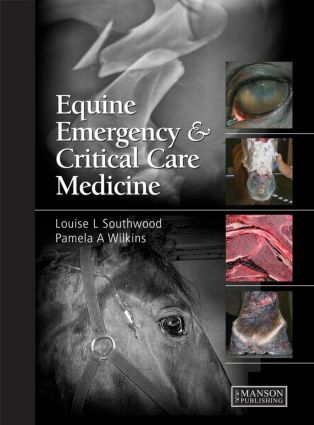 Equine veterinarians will find this book an essential addition to their libraries. "If you saw something in practice and you didn’t know what it was, it’s highly likely you’d find a picture of it in this book, and, better still, really useful and good quality accompanying ultrasound images and radiographs … If I were off to an equine emergency of any description, I’d take this textbook with me."